Forge Motorsport Universal Intercooler UNIVERSAL - MiataRoadster - Stay tuned with MiataRoadster! Forced induction (compression of inlet air) produces heat. Heat can reduce power thus negating some of the benefits of forced induction in the first place. Incorporating an intercooler between the compressor and the plenum chamber greatly reduces the adverse effects of elevated air inlet temperatures. Forge Motorsport’s range of universal intercoolers begin with efficient cores sized to fit many forced induction applications. From there, a wide selection of end tank configurations offer numerous installation solutions. Using the highest quality cores, hand fabricated and welded by highly skilled craftsmen, our intercoolers offer excellent thermal properties, flow characteristics, minimal pressure drop and high volumetric efficiency. 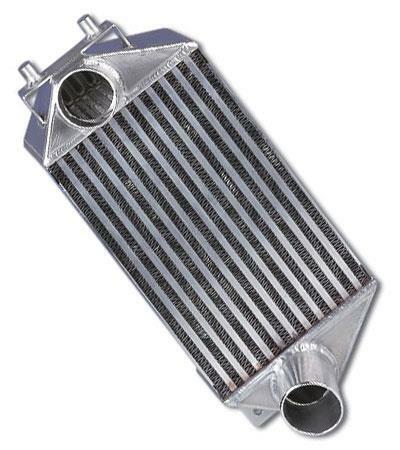 This is all at a price considerably lower than one might expect to pay for intercoolers with this level of quality, size and performance. We can also offer custom designed intercoolers manufactured to your specifications and at prices well below what other manufactures charge for ‘off the shelf’ designs.